Dog walking, pet sitting and mobile dog grooming. Visit the website for more info or follow us on Facebook and Twitter. 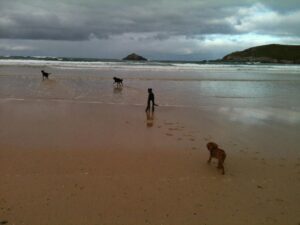 This entry was posted in Cornwall and tagged Newquay:crantock:Goonhavern:Perranporth. Bookmark the permalink.